The department of Basic Education has urged all learners to attend school on Monday. This as schools with learners affiliated to COSAS are expected to be disrupted by what COSAS calls a national shutdown. COSAS will march to Luthuli House in Johannesburg to deliver a memorandum to ANC president Cyril Ramaphosa. 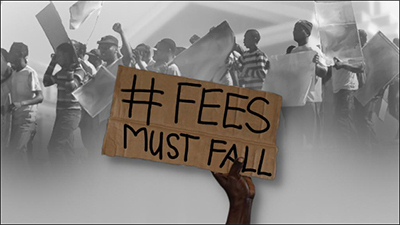 COSAS President, John Macheke says among their demands is the release of Fees Must Fall activists and and an end to violence at schools. Basic Education Department spokesperson, Elijah Mhlanga says no disruption of schools will be tolerated. “There is not going to be a national shutdown, there is no contingency plans because there won’t be any disruption. Teachers will be at school and learning and teaching will take place. We are losing so many days when teaching is not taking place,” says Mhlanga. The post Learners urged to attend school on Monday appeared first on SABC News – Breaking news, special reports, world, business, sport coverage of all South African current events. Africa's news leader..